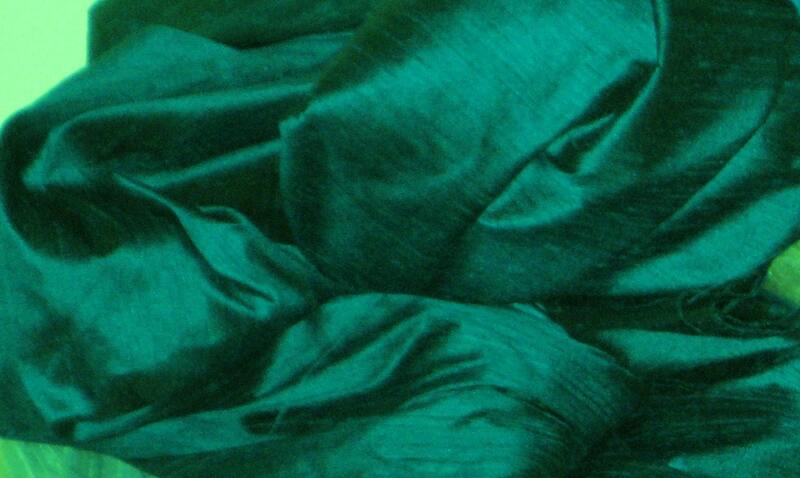 Peacock Teal Green dupioni silk fabric. Brand New High-End Dupioni Silk Fabric Yardage. 45 inches wide. This is a deep, very vibrant green exactly like the peacock teal green! Absolutely gorgeous... arrived so quickly and saved me ! Exactly as pictured, and came very quickly! The fabric I ordered is absolutely beautiful and extremely good quality! I had ordered color samples so I was certain I got the exact color I wanted. The company stayed in touch with me throughout the entire ordering time.... love the fabric and customer service! I highly recommend this store!! !